“Joint’s Jumpin!” is a brand new musical revue that celebrates classic New Orleans R&B and blues hits from the ‘50s and ‘60s. From free-wheeling, happy-go-lucky beats to funky soul-shaking horns and vocals, this event will feature a night of “oldies but goodies” from the past. It has sold-out twice at Harrahs New Orleans and is now breaking out to theaters, Performing Art Centers, casinos, and corporate events across America!!! Joint’s Jumpin' features an ensemble of talented performers that delivers New Orleans chart-topping hits from the ‘50s and ‘60s. Just a few of the great songs include those of Fats Domino, Art Neville, Huey “Piano” Smith, Irma Thomas, Clarence “Frogman” Henry, Professor Longhair, Aaron Neville and more. 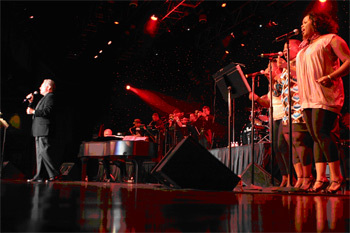 Famed musical director Larry Sieberth has assembled an A-list group of nine musicians and six vocalists to perform the hits. 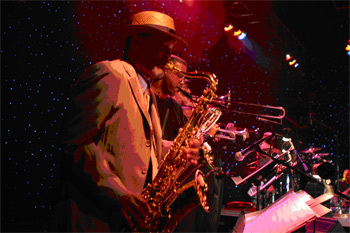 Some of the famous musicians joining the cast are Bernard “Bunchy” Johnson on the drums, Donald Ramsey on bass, Rick Trolsen on the trombone and Luther Kent on vocals.